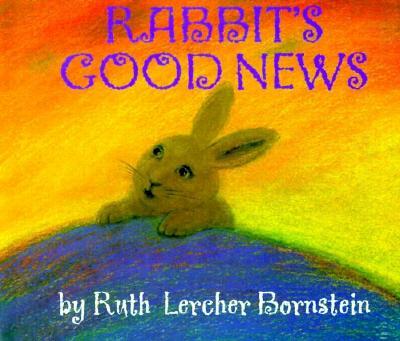 A mother rabbit wakes up one day and discovers that it’s spring! The pastel illustrations of flowers and bees and baby birds are perfect for introducing a discussion about what happens in the spring time. 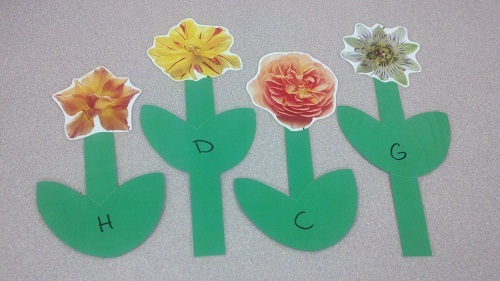 In this matching game, I handed out flowers that each had a letter of the alphabet written on it. I then told the children to find their adults and talk about the letter on their flower. Then I called up each letter one by one and the child who had that letter was able to come up and place the flower on the flannelboard. I have to say that this one worked very well! Credit: Myself, though I’m sure there are similar things out there. 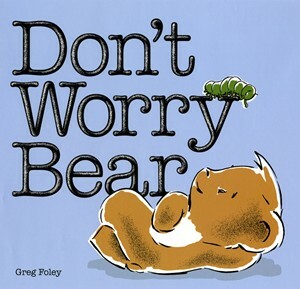 A bear befriends a caterpillar and grows worried when the caterpillar wraps itself in a cocoon for the winter. However, when spring comes, the caterpillar emerges from the cocoon as a moth and the two are reunited once again. 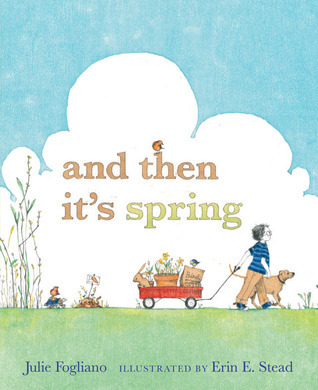 The colors and story are better suited for fall and/or winter, but seeing as the story ends in spring (with at least one page of green), I decided it would work well in a spring storytime. Okay, this story doesn’t shout out spring, but I wanted something that involved a kite. And the story itself is genius for storytime: A boy gets his kite stuck in a tree, and he throws random objects to try to get it down, only to have those objects get stuck in the tree as well. 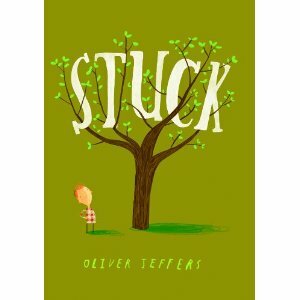 By the end of the book, everything from a shoe to a firetruck to a whale is stuck in the tree. The kids loved this one! Okay, it’s supposed to be Five Little Kites, but I was overly ambitious and hand stitched these flannel pieces and was sick and tired of looking at them by the time I finished the fourth one. 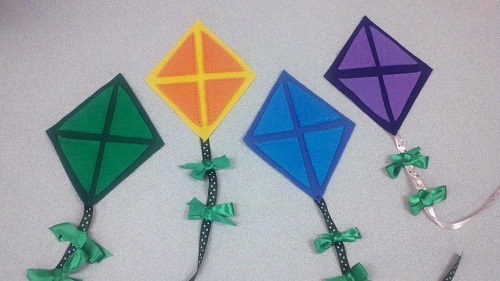 So I changed it to four little kites and will eventually make the fifth kite someday. You can find the original Five Little Kites rhyme (and the inspiration for the flannel set…Katie did such an excellent job with hers!) over at Storytime Katie. A little boy who’s surrounded by the brown of winter waits patiently for the green of spring. I think this one depicts the restlessness that many people feel during the last days of winter very well. Overall, it wasn’t a bad storytime, though I didn’t get much response from the kids. They liked our two activities and Stuck but didn’t seem to pay much attention to the other stories or even the puppet show. Oh well, every librarian has one of those storytimes.